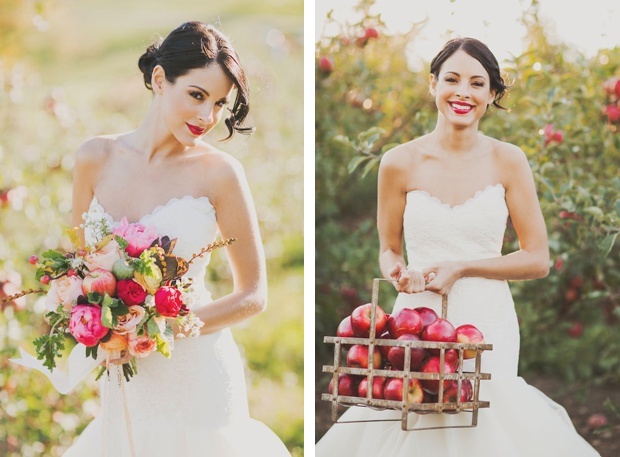 Red Lipstick on Your Wedding Day: Do or Don't? While I was in London over the summer, I stumbled out of the rain into the nearest shop I could find, which happened to be MAC. Browsing the lipsticks, I decided to pass the time trying on red lipstick - a shade I've never worn. 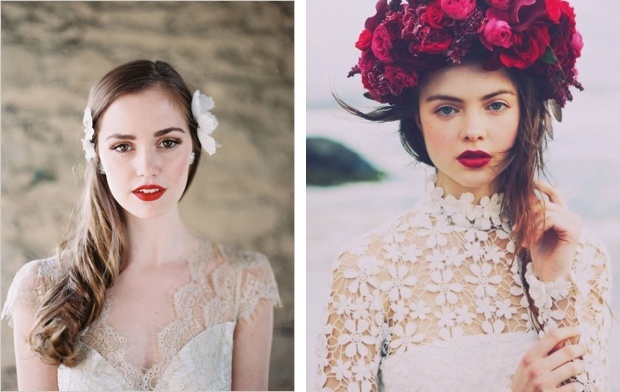 It looked fab, and it got me thinking - would you wear red lippy on your big day? Or do you think it's too bold? It's a look Sarah Meredith Wedding Make-up could easily re-create for you on your wedding day. 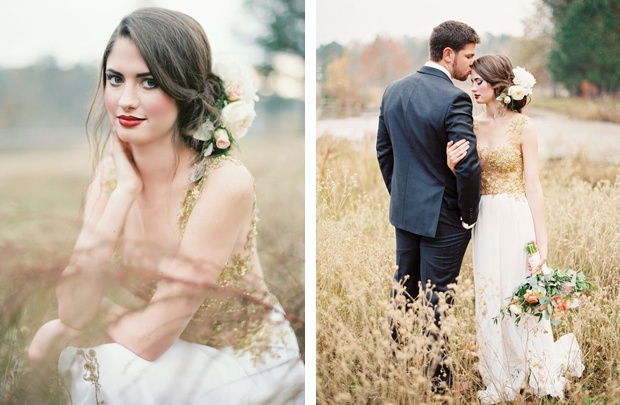 Here are a few brides who are completely owning the look!